John Cena’s 2017 Ford GT, which, you’ll remember, was the subject of a lawsuit, is up for sale for the—fourth? fifth? tenth? hard to say at this point—time, about a month after it was up for sale again. Does anyone want John Cena’s Ford GT? Whether Cena could sell the car at all, of course, was the crux of Ford’s lawsuit, since Cena had apparently agreed not to sell it for 24 months after buying from Ford. Still, since Cena sold it, it’s changed hands numerous times, most recently fetching $1.4 million in late August in Monterey. Now, Mecum is offering the GT for auction in Dallas in early October. It’s got 626 miles, or 1 mile more than it had when it sold in August. It makes 647 horsepower. It’s got a dual-clutch seven-speed automatic gearbox. It’s also serial number 77, which a quick search turns up no bad associations. What is wrong with John Cena’s Ford? Who can say. What we can say is that no one seems to want it. Cena paid $466,376 for it, but it will surely go for something closer—or even more—than the August price. Seriously, though, what’s this madness all about? 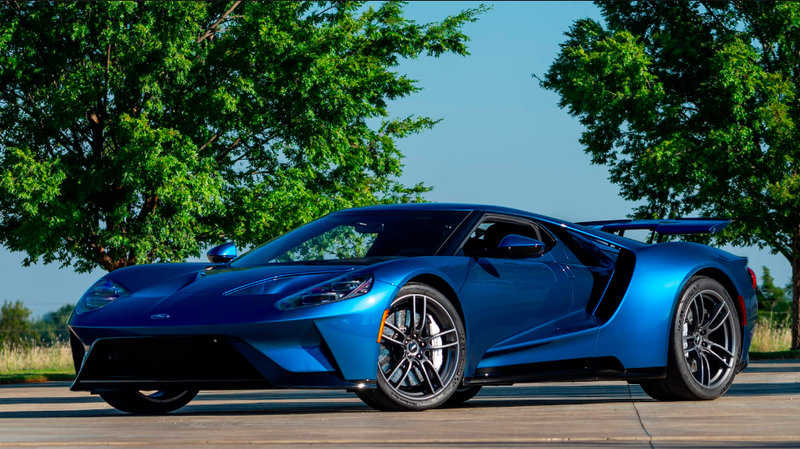 Autoblog offers one compelling theory: Cena’s Ford GT is the only Ford GT free and clear of litigation, unlike the nearly 500 other Ford GTs all presumably still covered by the 24-month no-sell clause. But those clauses will begin to expire at some point, flooding the market and devaluing this one. The time to cash out is now.